Barcelona is a city with an extraordinary architectural heritage. 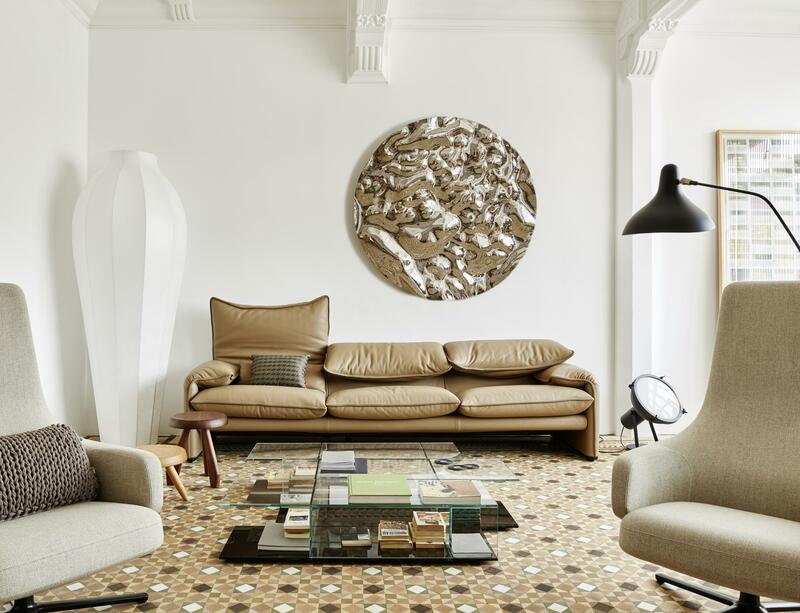 Beyond its most iconic buildings, designed by great geniuses of architecture, Barcelona boasts a tapestry of residential spaces with valuable original structures and decorative elements. These homes–ranging from apartments in the Gothic quarter to art nouveau spaces in the Eixample grid or examples of mid-century rationalism as you head uptown–stand out for their elaborate coffered ceilings, colorful encaustic tile floors, sinuous moldings and glasswork, or their understated details in wood and metalwork. Some of these homes are true works of art, unique pieces endowed with a rich heritage. 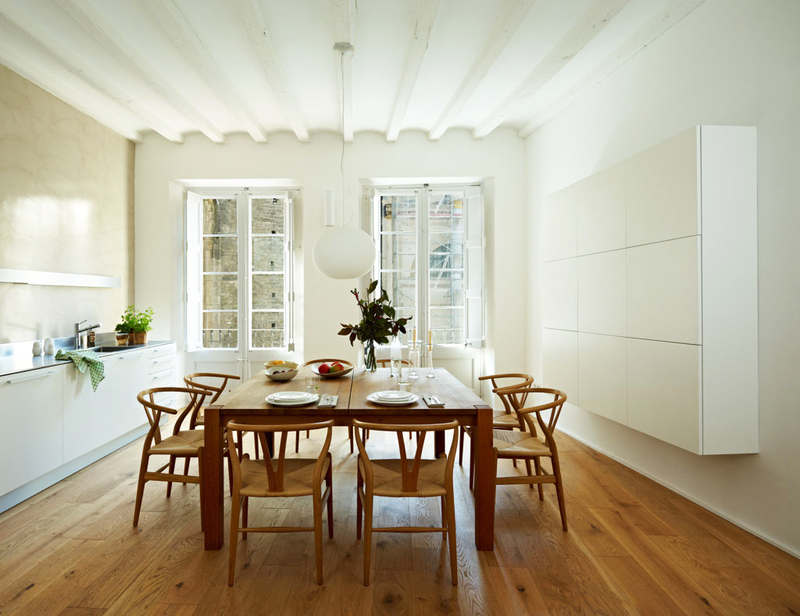 The original layout is often inappropriate for contemporary living requirements (for example, small, dark, isolated kitchens; insufficient bathrooms or inefficient walls, doors and windows. The spaces often lack adequate heating or air conditioning systems, as well as appropriate thermal and acoustic insulation. Bathroom facilities are either nonexistent or minimal. For the vilablanch team, the challenge consists of developing interior design projects that adapt to a contemporary lifestyle in terms of their functionality, layout, and comfort while recovering and highlighting the original elements in the home, those that endow it with its unique value. Achieving this goal does not only call for sound judgment, sensitivity, and in-depth knowledge of restoration techniques. It also requires a thorough knowledge of the construction process involved in renovating the property. For example, one has to plan where and how new piping, cabling, heating and cooling systems, and other elements will be installed without damaging the decorated ceilings or the colorful tile floors of an art-nouveau apartment. It is also essential to develop an efficient lighting project that emphasizes the unique elements in the space without damaging the ceilings or any of the other original features. As experts in renovating buildings from a broad range of different periods, from a medieval or renaissance space (such as this cloister) to a property with outstanding decorative elements (art nouveau apartments) or spaces built with construction methods that leave a bold mark (columns or Catalan vaulted ceilings), an evocative spatial layout (as in this industrial loft) or a rationalist building from the Catalan modern movement (añadir ejemplo de obra), vilablanch aims to stress the authenticity of each particular space. Therefore, the colors and materials proposed in the interior architecture project–as well as the recommendations for lighting, furniture, and decoration–do not intend to compete with the property's rich legacy, but instead seek to create contrasts that place the focus on the original elements.